Anna Talmy is a recruitment consultant at Marksman International Personnel. A number of former job seekers recommended her to me, so I was glad when she agreed to this interview. When I graduated from university I walked in to Reed Employment agency (in Staines, England) and told them all the elements that would make the ideal job for me at the time. They asked me to interview for them and the rest is history! 2) Tell us about Marksman Personnel. What are your specialties? Founded in1982, Marksman has worked with hundreds of leading Israeli companies of all sizes and markets as well as international companies starting to trade in Israel; in providing them with the highest quality English and multilingual speaking candidates. We specialize in Marketing, Sales, Finance, Administration, Customer Service and Technical Writing recruitment and are currently expanding into Executive and Hi-tech placements too. 3) What do you typically do upon receiving a candidate's resume? We ask all candidates to apply for specific vacancies advertised on our website (all vacancies are listed) to ensure that we recruit for suitable positions for each candidate. Once we receive a CV in reference to an open vacancy we reply as soon as possible with an invitation to register with the relevant consultant here at Marksman or we send a rejection email asking prospective candidates to keep looking at our website in the future. Once we have registered that candidate we can start to talk to them about specific vacancies and hopefully start sending their CV forward to our clients. 4) How important is a candidate's level of Hebrew for you? It depends on the position and we do have a lot of vacancies that don't require any Hebrew at all. However, I always recommend that my candidates continue to improve their Hebrew (if they don't already have a high level) because it improves their employment options as well as their integration in Israeli society. 5) If I live outside Israel and am planning on moving here, when should I first contact you? Once you are living in Israel with an ID (teudat zehut) or unrestricted work permit. Marksman's policy is to meet all candidates before sending them forward to clients (incidentally we try to meet all our clients too). 6) Can you name one of your pet peeves as a recruiter in Israel? The reluctance of employers to discuss salaries at the initial recruitment stage, it is almost impossible to find a suitable candidate without the guidance of a salary range. 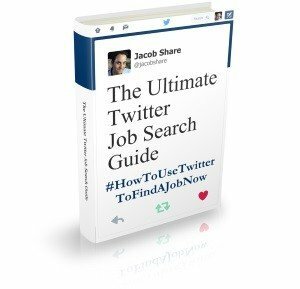 7) What can job seekers do to make it easier for you to find them a job? Check your CVs before sending them, a CV is your main marketing tool, it's surprising how many candidates don't use spell check. Make sure that you meet the requirements of the positions that you apply for, they come from our clients not from us. Learn Hebrew if you don't speak already. Keep checking our website and remember that Marksman wants to find you employment; we only reject CVs when they are unsuitable, it's not a personal choice! 8) What do you think of the Open Letter to the Recruiters of the World From Job Seekers Everywhere? As the article says, we are all job seekers so obviously I understand the frustration. In general, I reply to all applications, unfortunately we are not technologically supported enough to offer a search and match facility for all applications at this point. Omitting the request for that service from recruiters I would definitely add my name to the end of that letter! Recruitment consultants are often in the same position as job seekers, waiting for recruiters to respond with the added frustration of unhappy candidates to answer to on the other end. 9) What's the weirdest tactic that worked on getting you to notice a candidate? 10) What is the best way to contact you, whether as a candidate or as an employer? Thanks for your time, Anna. You can reach Anna and the others at Marksman via their website at www.marksman.co.il. If you liked this article, you'll enjoy 7 Questions with Sally Shiff, Recruiter for Nisha Global. Need recruitment help? 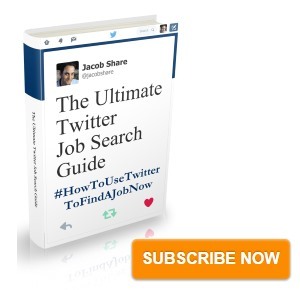 Subscribe to JobMob via RSS or email and follow me on Twitter to have recruiters respond to your questions.